Hi I’m Emma, I have been an educator since January 2013 and love it! I’m married with two wonderful school aged daughters. 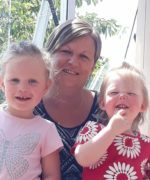 I really enjoy working with children and their families and feel it’s such a special role to support and guide children. I offer children a safe, clean and loving environment where they can explore and experiment with all life has to offer them while still being taught boundaries and routines. We enjoy weekly outings to the library, beach and parks as well as playgroups. I look forward to meeting you and welcome you and your family to be a part of ours, its great fun! 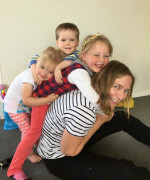 Kia Ora my name is Kelly and I have been working for Busy Bodies since 2015. I have two teenage children, a boy and a girl. Who can say they love their job? I can!! I love watching young children develop and watch as their confidence grows. 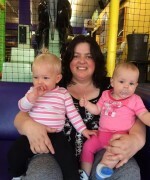 We enjoy going out to playgroups, chipmunks, the gym and other little excursions. I have a warm, safe and relaxing environment with lots of room both inside and out for play and exploration.